I love college basketball. I'm not a big sports person, but for some reason, basketball in March is an exception. Andrew and I have filled out brackets to compete against each other since we've been dating (Andrew won't admit it, but I win every year). In fact, we watched one of the final four games in the hospital last year after I birthed Taylor. This year, we are planning on going over to my in-laws for most of the games. I decided since they're playing the gracious host to us, I need to repay their hospitality with treats. I got a little creative to make said treats on-theme, because what's better than on-theme treats? 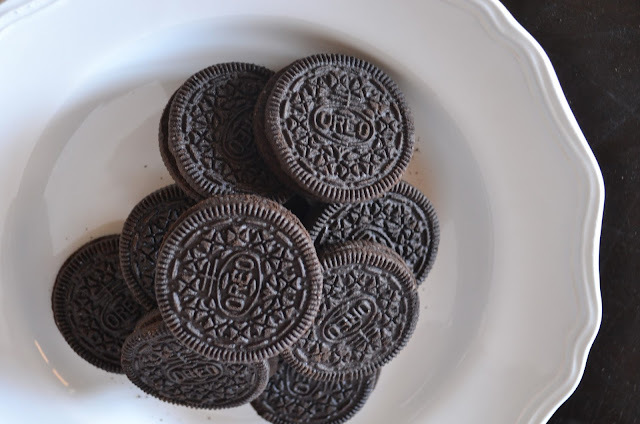 First up, I made those fun chocolate-dipped OREOS. 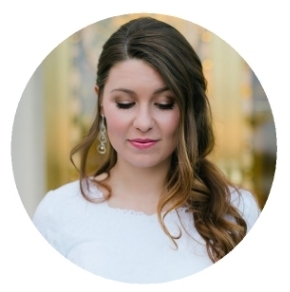 They look fancy, but are so easy (honestly, I couldn't manage anything that wasn't simple). In fact, to prove the simplicity, here is the four-step process. That's it, you're done! I told you it was easy. 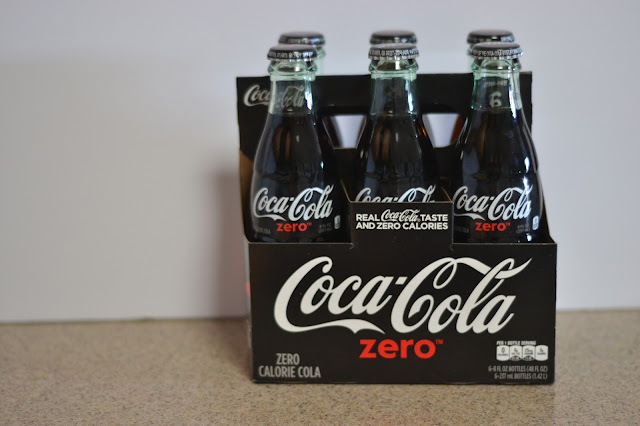 Next on the agenda is making a cheer section with the help of Coca-Cola Zero™. I promise this one is an even easier project. 1. Make little pom-poms with yarn. Wrap the yarn around the outside of the fork and then tie a piece a string down the middle of the yarn, splitting it in half. Cut the two bunched ends and you have a pom-pom! 3. 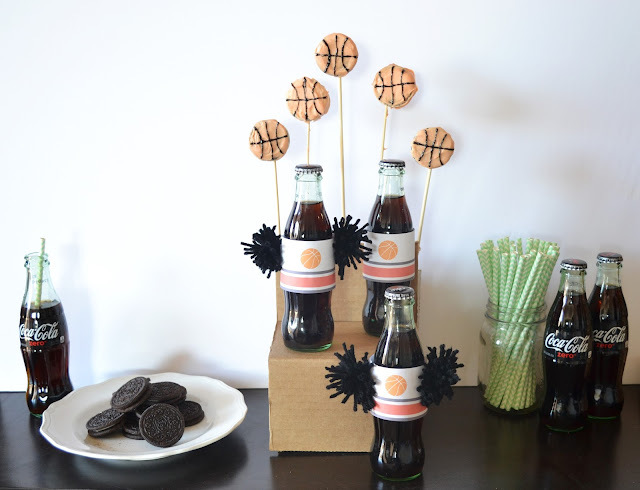 Tape both the pom-poms and outfit onto your Coke Zero and you're done! Now you have some festive treats that are cute and easy to make! I swung by Safeway to pick up some supplies and then made my treats in an hour flat. If I can do it, so can you. Easy peasy, lemon squeezy. 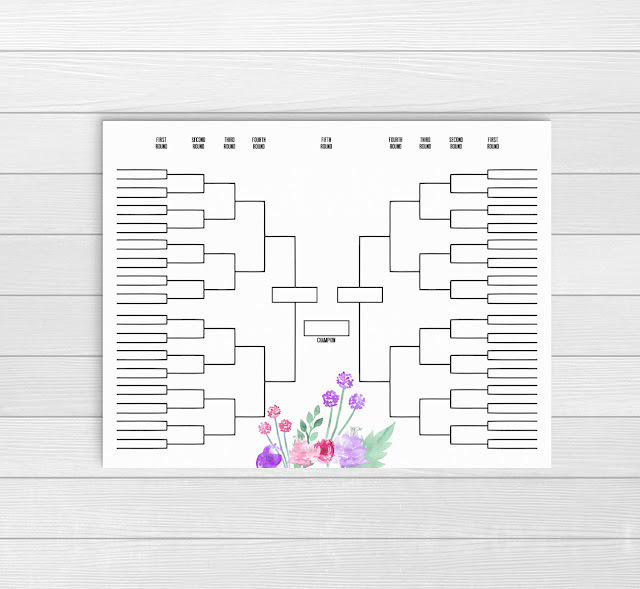 One last thing I want to leave you with is a free printable bracket to keep track of your teams. Yes, I know there are blank brackets already online, but they aren't very cute. This one (if I do say so myself) is way better looking than the standard one. To get it, just click here to download the free bracket! Please force your husband to use it. Haha. 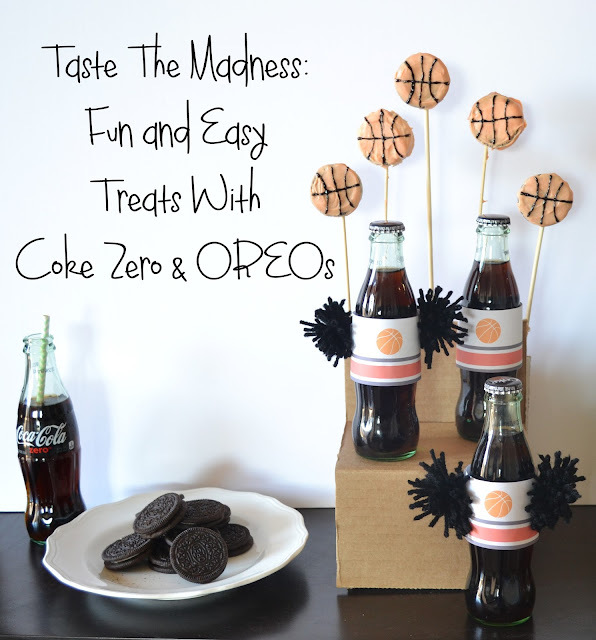 Visit http://cokeplaytowin.com/tastethemadness for a chance to win NCAA prizes.